Also at the drugstore, the quality of highlighters has been going up and up and up. 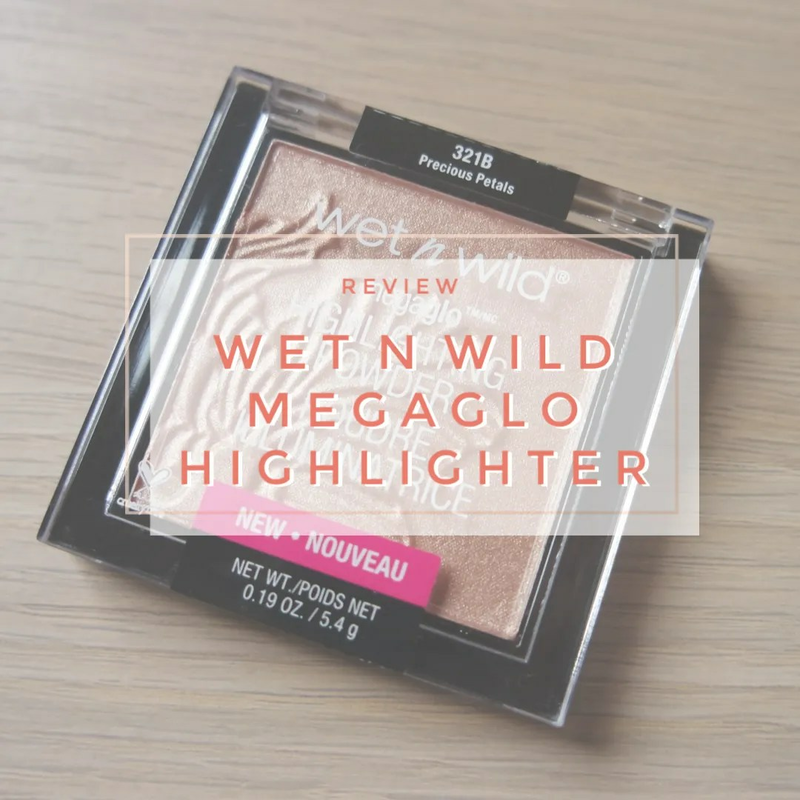 In terms of hyped up highlighters, I think the Wet N Wild Megaglo highlighters take the cake. Everyone loved these the minute they came out. One of the reasons? The price point. 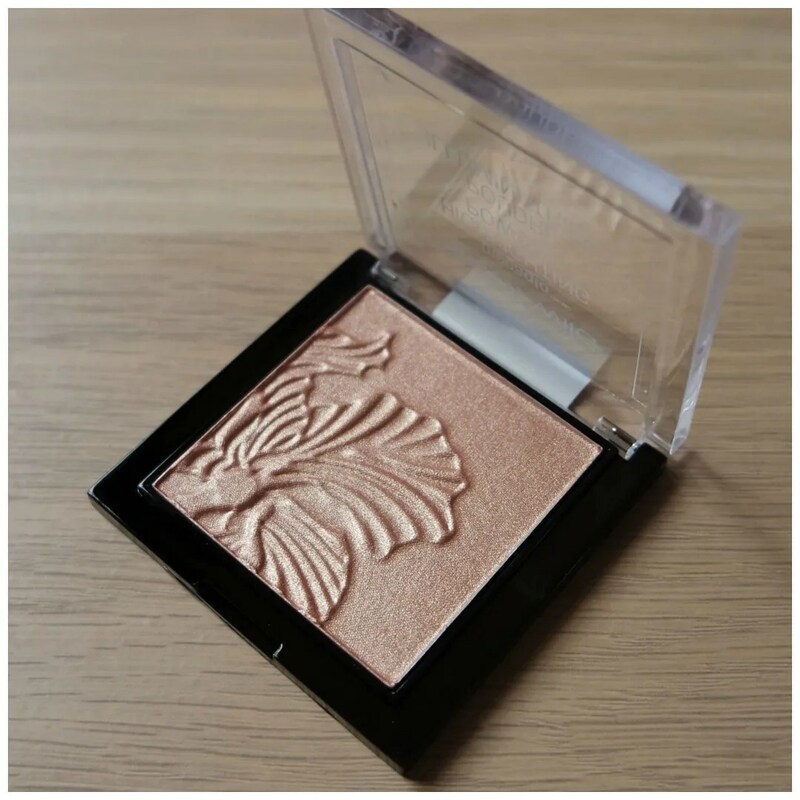 This retails for a mere €5.95 and that makes this one of the most affordable highlighters on the market. Let’s not beat around the bush: the packaging of these highlighters is cheap. The plastic doesn’t feel like it is made of the best quality and feels a bit flimsy. However, I don’t mind that as the packaging is slim and all the space is taken up by the product. In total it contains 5.4 grams of product and there is no space wasted by brushes and/ or a mirror. 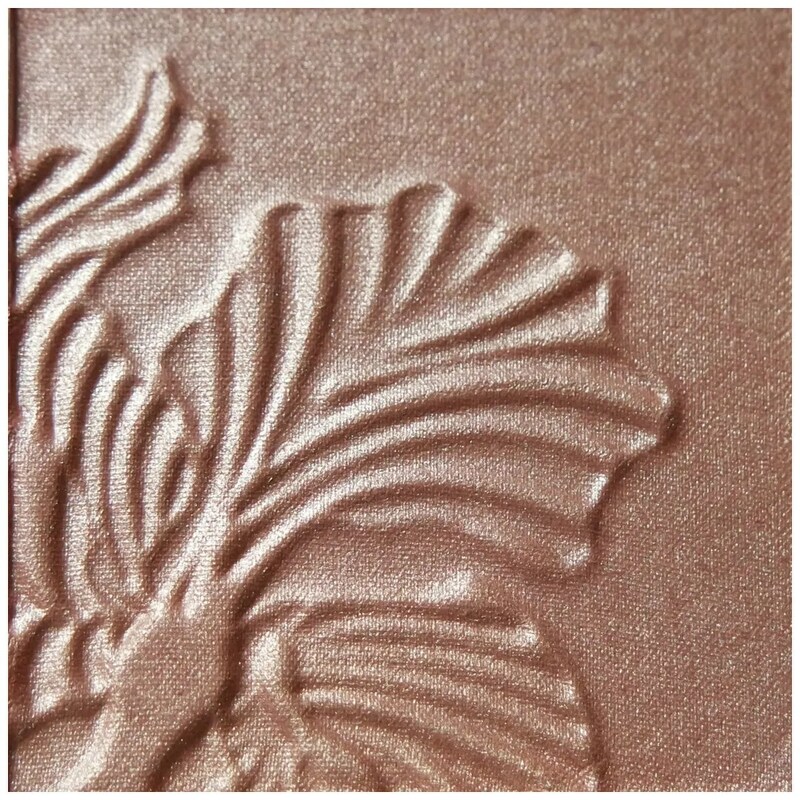 The powder has a peachy/ gold color and an embossing that makes the powder look lots more high end than it has. It has a great glowy look and the color payoff is great. When I bought this, this was one of two shades available, but now there are many more around. And that is a good thing, because this shade is a touch too dark for me. Before we move on to what this looks like on the skin, let’s have a look at a full on swatch. 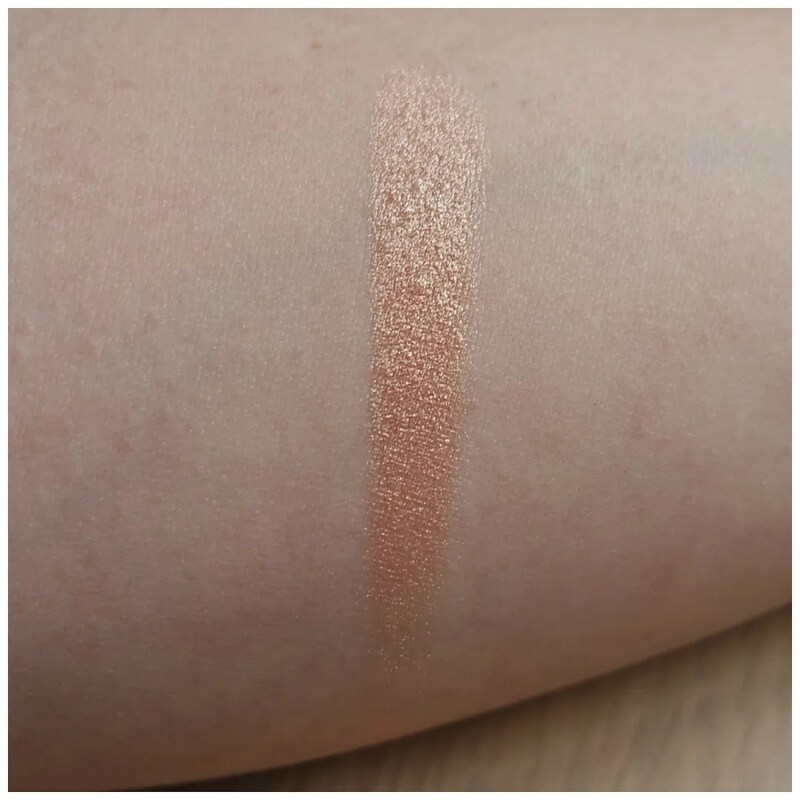 As you can see this swatch is very full on: this highlighter is not for the faint of heart. It has a clear colored base to it and then a super intense shine. It looks to be a bit rose gold in some lights and it is a highlighter with which you only need a very light hand. Despite the intensity, the application is very smooth. 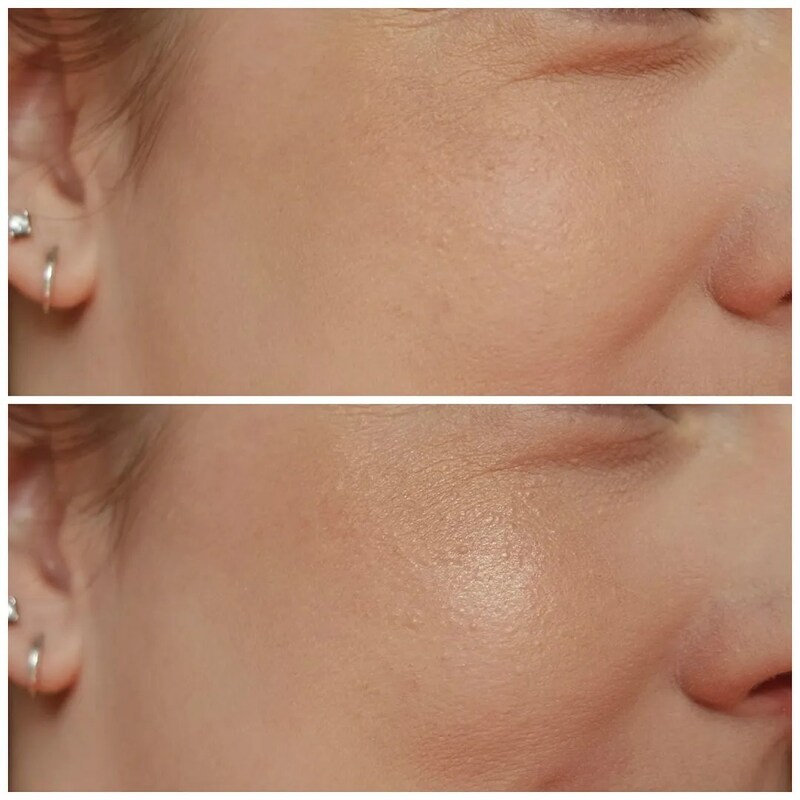 This highlighter glides on very easily and you have to be careful to not apply too much. Then again, if you like a super blinding highlighter, then this product will be right up your street. For me, the shade is a bit too much. While I like the amount of glow this gives to my skin and the way this applies, I don’t like the color. This is one of those highlighters that just doesn’t work very well with my skin tone: I am too fair. The back pigment of the highlighter is too dark, making the highlighter too obvious on my skin. In the picture this isn’t very noticeable, in fact, it looks very pretty, but especially when the highlighter does not capture the light, there is a very clear stripe noticeable on my cheeks. 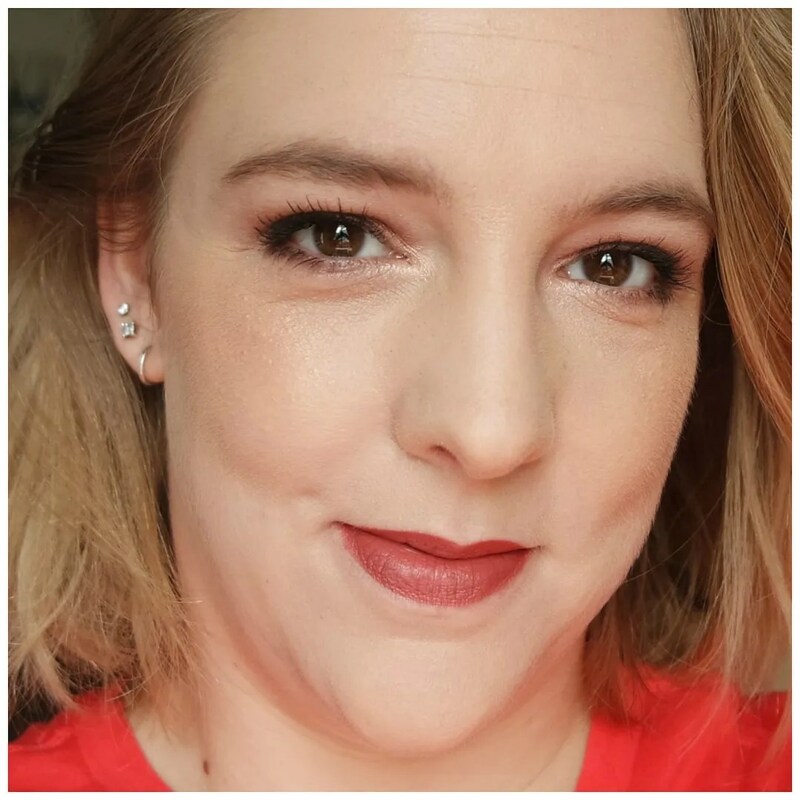 The Wet N Wild Megaglo Highlighter in Precious Petals is one that I really like, but because the shade is not right for me, I don’t use it enough. I will definitely be looking to try one of the lighter shades in this line as it is most definitely a great, affordable product. Precious Petals is not for me, but if you have a medium/ tan skin tone, then this will be stunning. Love the product, but the shade just isn’t a match. What drugstore highlighter is your favorite? I know it looks great in pictures but a too dark highlighter is only noticeable in low light. I am neutral to cool toned so anything too warm looks odd on me. Nice review! this is actually my favorite highlighter, the shade that you have look great on me but I am not as light as you. I do love the design on the highlighter itself, it’s so pretty! I know! I definitely want to get the lighter shade because I do love the quality of this product. I am very curious about these highlighters, but similar to you I am very pale so I have to be careful with the colours I chose. Also does not help that I am pretty cool-toned so anything that has a yellow undertone – better be super light, max a very very light champagne, the most I can pull off. I think maybe Blossom Glow would work better? That’s the one I want to try out! Yes that’s the one I want to try too!